Washington, DC -- In its first year, the inaugural Black Tech Matters Influencer Awards Show took over SXSW in Austin, TX and is prepared to do the same on Tuesday November 27, 2018 in the heart of the nation's capital. There are six awards in total, 5 honorees and one Lifetime Award recipient, recognizing this year's top influencers for their significant contributions to changing the global landscape for inclusion in STEM innovation. Up to 100 guests are expected to attend the red-carpet ceremony, to be hosted at Ben's Next Door, the upscale sister restaurant to Washington, DC's iconic Ben's Chili Bowl. The event program includes a networking reception, an awards show, important announcements, and a keynote speech delivered by Thierry Lindor, Founder of Influence Orbis. Presented by WealthyLife CEO Angel Rich, guests will be treated to live performances, honorary recognitions, and great food. 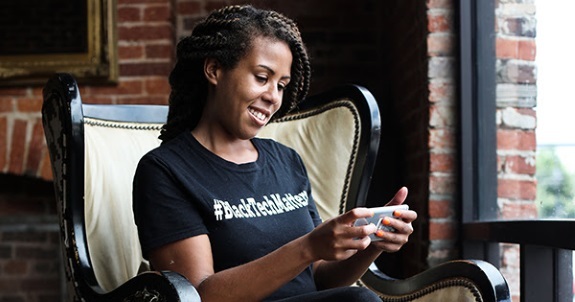 Tickets are now available for $25 at https://blacktechmattersawards.splashthat.com. Angel Rich, named "the next Steve Jobs" by Forbes, says that "nothing in history is remembered until it's written and celebrated." Thus, the Black Tech Matters Influencer Awards serves as a critical moment in the technological revolution to highlight and recognize the key individuals that have helped to close the digital divides in the Black community, bridging gaps for funding, and establishing long-term connections for business growth. Honorees were chosen for their significant impacts on changing the global black tech community. The Influencer Awards Show comes at an important time, on Giving Tuesday - a global day of giving through the power of social media and collaboration. Presented on the Tuesday following Thanksgiving #GivingTuesday has become an advocate for giving back and philanthropy. As the show's honorees have given back to the community, #BlackTechMatters aspires to do the same. Sponsorship packages and opportunities are also available as WealthyLife prepares for a 25-city HBCU tour in 2019 that aims to spread financial literacy through it's financial gaming app Credit Stackers. #BlackTechMatters is a social impact organization. They develop creative engagement campaigns focused on diversity in STEM. They help organizations build partnerships with HBCUs, K12 Schools, governments, and non-profits. They can also help transform your vision into global influence, grow your audience demographics, and magnify the significance of your impact.